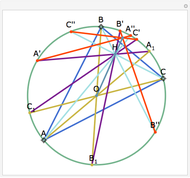 The Euler line of a triangle goes through the circumcenter and the orthocenter. Let ABC be a triangle. 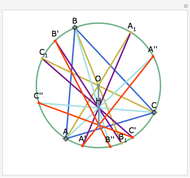 Let O be the circumcenter and H the orthocenter of ABC. 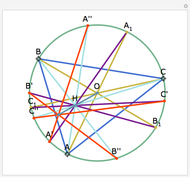 Let the intersection of AO, BO, and CO with the circumcircle be , , and , respectively. 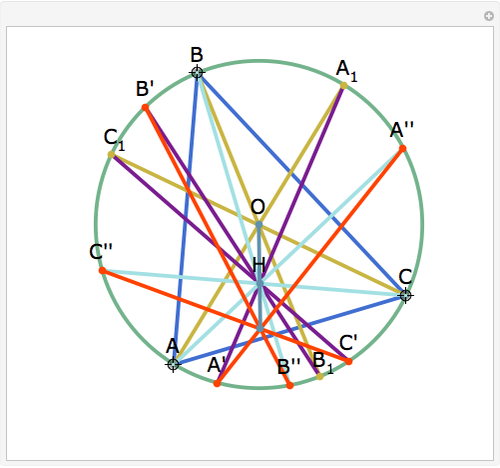 Let the intersection of , , and with the circumcircle be A', B', and C', respectively. 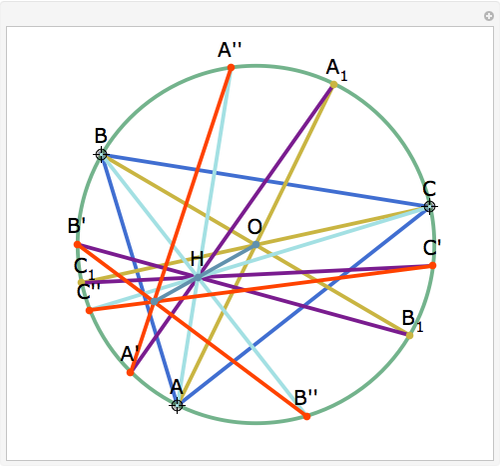 Let the intersection of AH, BH, and CH with the circumcircle be A'', B'', and C'', respectively. 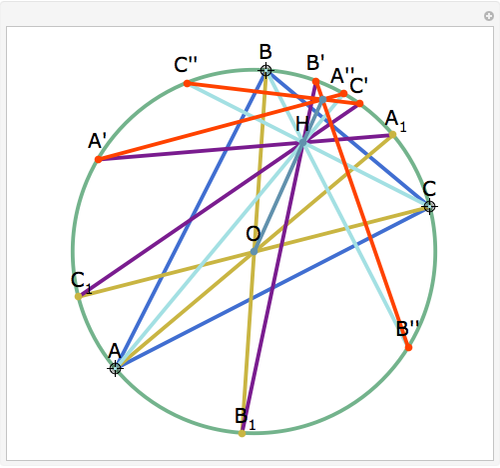 Then A'A'', B'B'', and C'C'' are concurrent with the Euler line. See problem 5 for day 2 in the Iranian 2005 National Math Olympiad (3rd round). Jay Warendorff "Concurrent Lines that Intersect on the Euler Line"